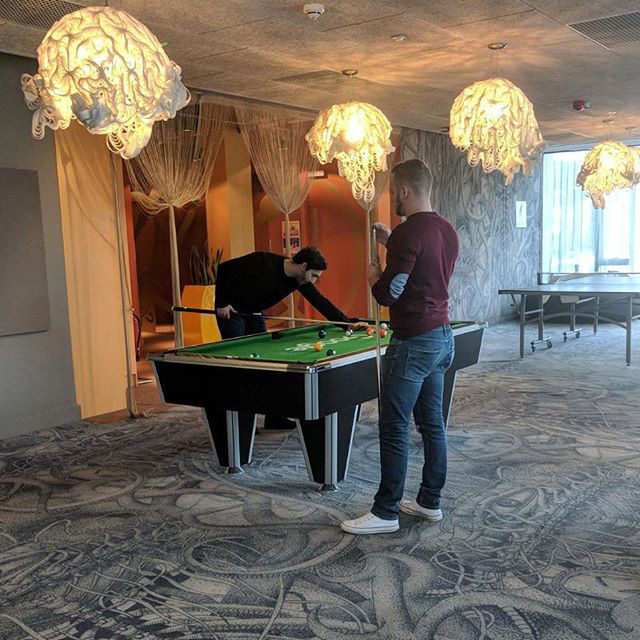 Here is a photo of a game room in the Google Dublin office showing off a pool table, fancy carpet and very interesting light fixture covers/shades. They look like they are in the form of a brain? Maybe only those who work with the Google Brain team are allowed to play in this room? Or maybe I am seeing things? Alessandro De Vietro posted this on Instagram the other day.